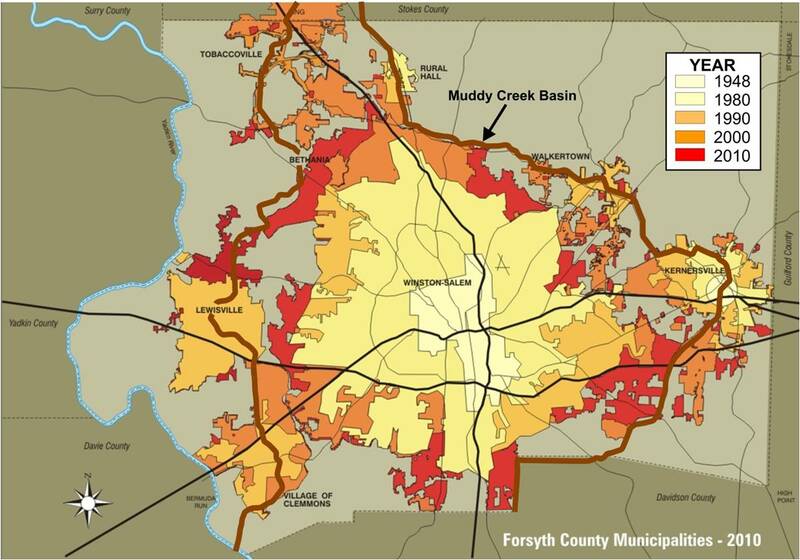 Forsyth County is relatively small in its geographic area compared to other urbanized counties in North Carolina. In addition to our small size, our topography makes it more difficult and much more expensive to extend sewer to outlying rural areas beyond the Muddy Creek basin. These rural areas make up approximately one third of the county’s total land area, reducing the amount of Serviceable Land Area (land served by gravity-fed sewer in the Muddy Creek basin) in the county.